JCR Offroad Cut and Fold Bumper? Last edited by PhillyPhanInDC; December 10th, 2018 at 16:14. 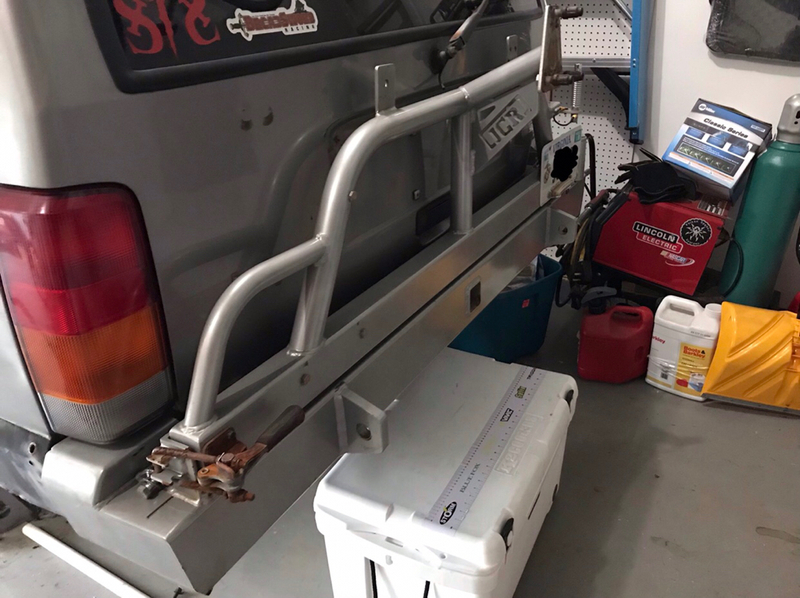 Re: JCR Offroad Cut and Fold Bumper? To fit my 2001's cut and fold, I added a 2 X 2 down each side, braced back to the frame rail. Trimmed the stock caps to fit the new bumper. 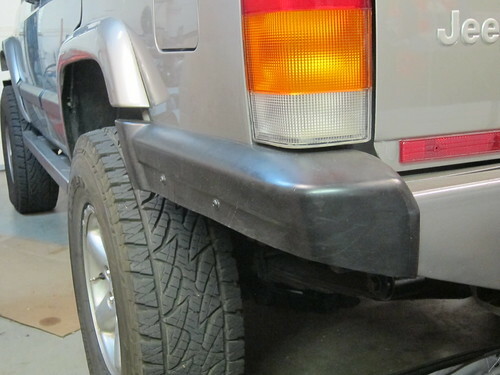 It covers the gap between the bumper and tail light. That's the first time I've ever seen anyone cut up the bumper cap to fit over the corner. Looks great! That’s an awesome job. Thanks for sharing! After searching, it seems the only two systems I can get my hands on with a tire carrier are the Filthy Addictions Offroad or the AJ’s Offroad. I know AJ’s changed ownership awhile back, either option is a decent chunk of change. 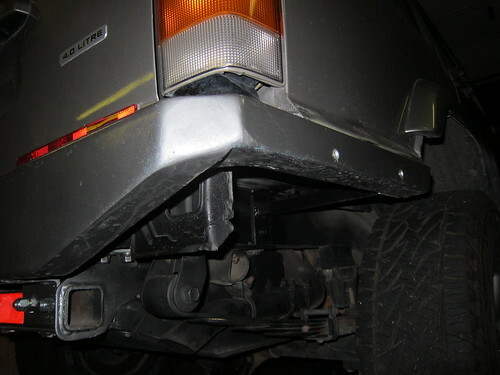 Anyone have any experience with either bumper and/or company? FAD was local to Vegas. Good guys I met a time or two. Their bumper looks nice.